At Helena Veterinary Service, our veterinarians in Helena and the rest of our veterinary team is committed to providing your pet with excellent, compassionate care. In fact, we treat all pets who come into our office as we would treat one of our own because we know your pet is a beloved member of your family. In our office, we're able to offer a wide range of veterinary services, including nutritional counseling to make sure your pet is getting all the right nutrients to encourage optimal health and wellness. What Are Your Pet's Specific Nutrition Needs? What do you feed your pet? This is a common question our veterinary technicians will ask you when you bring your pet in for any routine exam or care. We ask this for a number of reasons—mainly because we want to make sure that your pet's formula is the right choice to support their health. 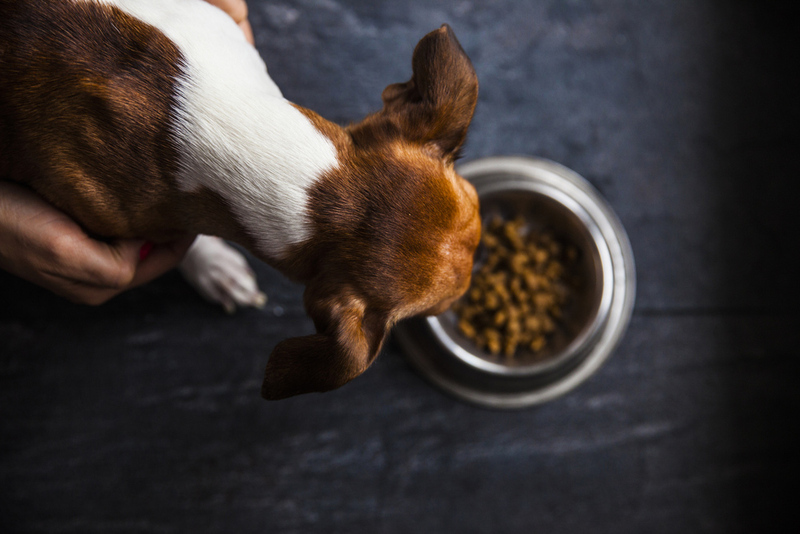 If you've never thought too much about what you're feeding your pet, it may be time to schedule a nutritional counseling appointment with our team. All too often, pet foods are sold with formulas that are not very nutritionally appropriate for a growing or aging pet. Every pet is an individual and some may need special diet restrictions and controls. We can make some specific food recommendations that will be best for your pet's unique needs as well as your budget. The right nutrition ensures that your pet's body has the fuel and nourishment it needs for the health of the organs, joints, bones, and coat. Do a Pet's Nutrition Needs Change Over Time? It's also important for pet owners to realize that a pet's nutrition needs can change significantly over time. As your pet ages and reaches those "senior" years, for example, your pet may need more protein than ever in its diet. If your pet is transitioning from puppy/kitten to adult, or from adult to senior, this would be a good time to re-visit your pet's nutritional routine and make sure the food you're providing is going to support your pet's body in the best way possible. Again, this is where our veterinary team can come in and provide nutritional counseling, as well as answer any questions you may have. Request an Appointment With Your Helena, MT Veterinary Team Today! Are you interested in scheduling a nutritional counseling appointment with our Helena, MT veterinary team? If so, then we encourage you to give Helena Veterinary Service a call at (406) 442-6450. We're happy to provide a free consultation for all of our new patients, and we look forward to meeting you and your pet!